How long have you been waiting to do up your home with the kitchen design of your dreams? Let’s face it, whether you’ve spent years saving up to afford it, or if you’ve been waiting for the most convenient time, home renovations are a big deal. That’s why it is so important that we take the time to get them right the first time. There’s nothing worse than investing significant time and money into something – only to discover afterwards that it isn’t quite what you wanted. The benefit of a customised kitchen design is that it’s tailored to your specific style and preferences. Why settle for a generic flat pack kitchen that isn’t 100% what you envisioned? 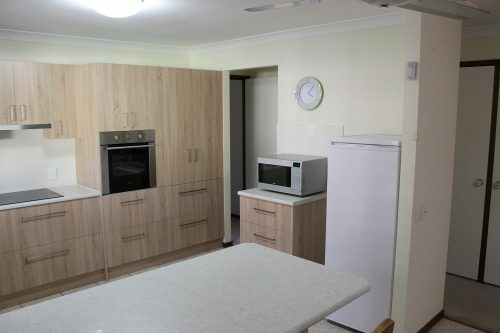 At Express Kitchens Brisbane, our designers collaborate with you to create a kitchen design that brings your dream kitchen to life within the available space in your home. By leveraging 3D design technology, you’re able to get a good idea of the look and feel of your kitchen before committing to the build. It also provides the opportunity to modify your kitchen design if your original ideas don’t work as well as you’d imagined. Express Kitchens consultants also provide the benefit of their experience, and can assist you with suggestions and recommendations. With all the unique kitchens we’ve designed over the years, we truly have a wealth of experience and ideas to share. Not to mention that when it comes to brainstorming ideas, two heads are better than one! 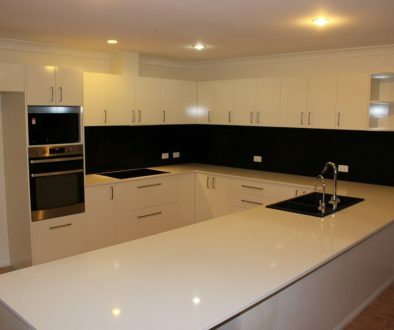 Since our establishment in 1992, Express Kitchens remain Australian owned and operated. That goes for our custom kitchens too! Our Brendale factory is where the design and manufacture happens, hence our confidence in providing Australian quality standards. And for your peace of mind, our kitchens all come with a 6 year workmanship guarantee. Our customers are always welcome to visit the Express Kitchens showroom, also located at the factory site in Brendale. We understand that seeing is believing, and this gives you the opportunity to ask us any questions prior to your design consultation. To book your free 1 hour 3-D custom kitchen design consultation, call us on 1800 675 605 or get in touch online. You can also visit our website for more information about the services we offer, such as 1-day kitchen installations and interest-free finance. Talk to us today to bring your dream kitchen to reality! 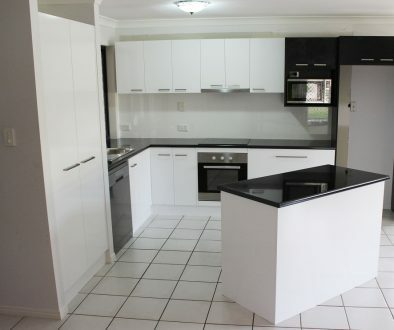 DIY or Experienced Kitchen Installers?